You’ve heard the quote, “friends are the flowers we pick for ourselves”, but sometimes the reverse can be true too. Flowers can be just a lovely as a good friend. They make you smile, can turn a blah day around, and the best thing… they don’t talk back! In all seriousness, having a colorful bouquet on display is really the best. But sometimes it’s so pretty you don’t want to hold onto it forever. 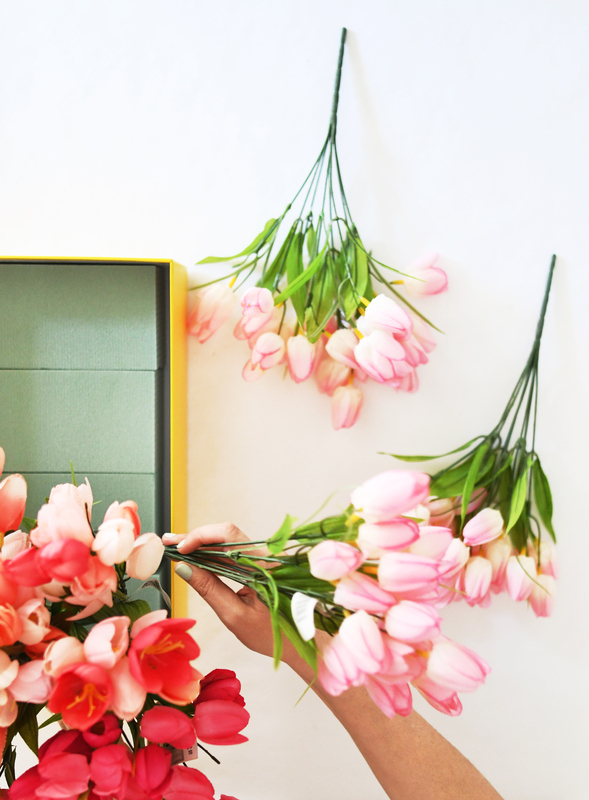 We have a way to make that happen… faux flowers! Yes, you may think they are terribly tacky, but we promise this is not the case. 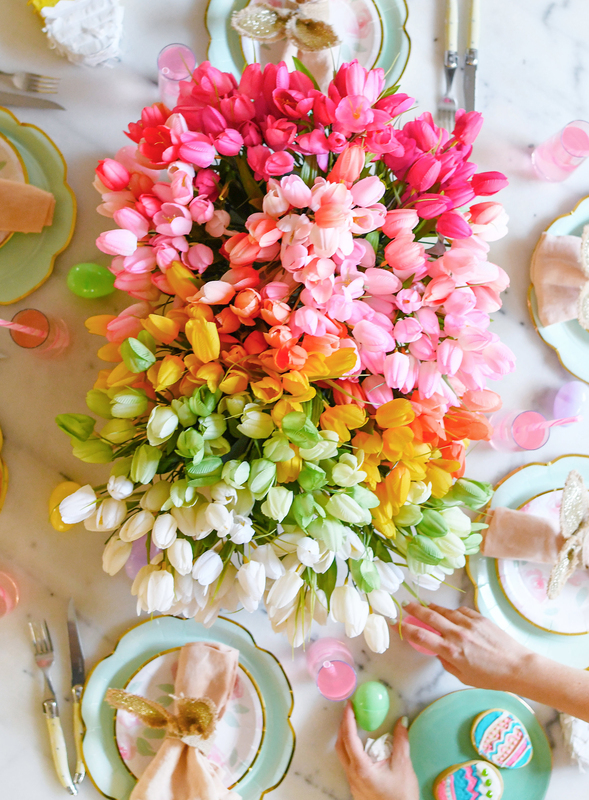 You can create a bountiful centerpiece arrangement in no time at all. 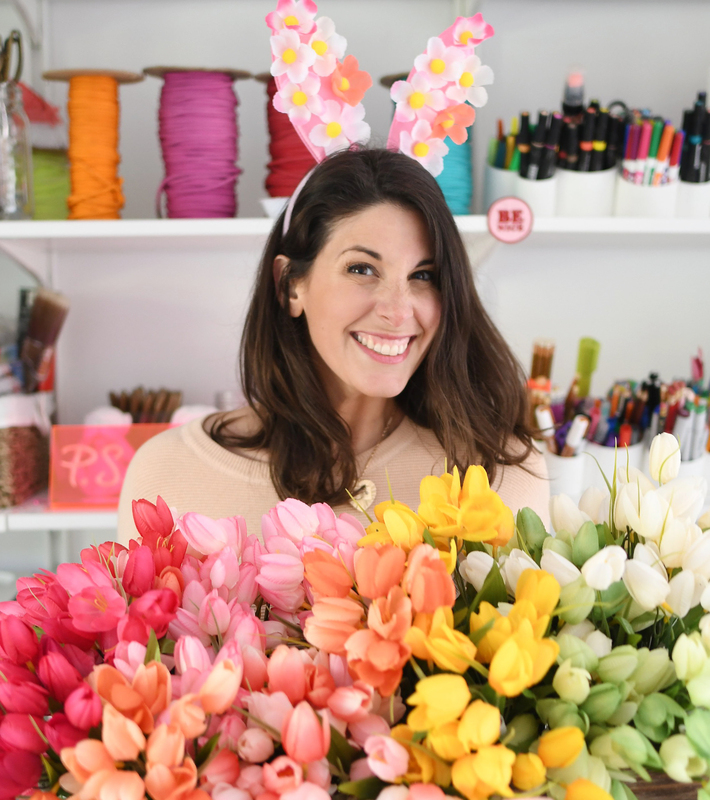 Our go-to spot for a fantastic selection of faux flowers is Michaels. 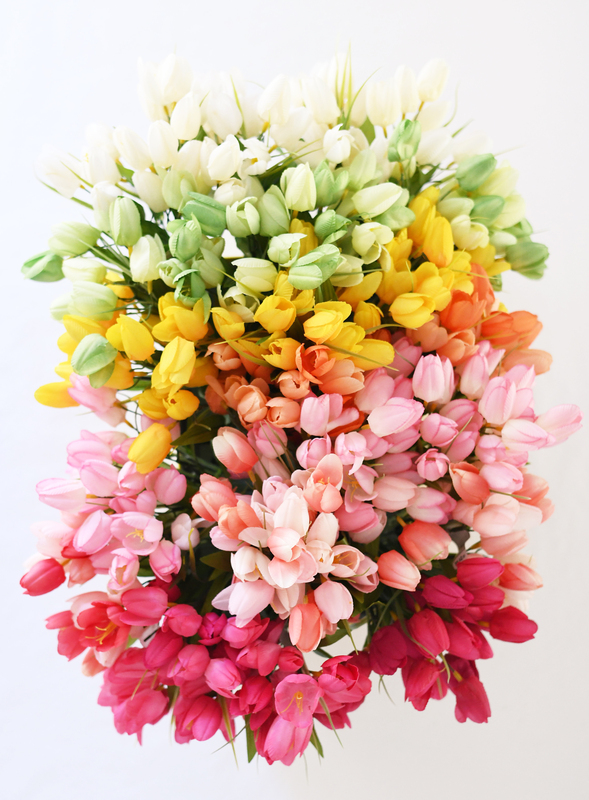 They have so many assorted colors and styles of flowers, you will swear some are real they are so good! 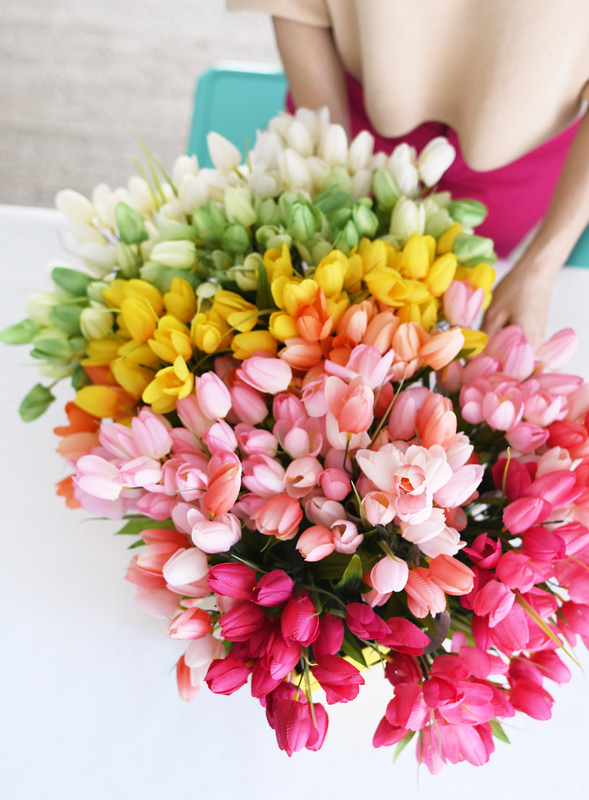 Sticking to one type of flower, like a tulip, in an array of soft colors is the right move. 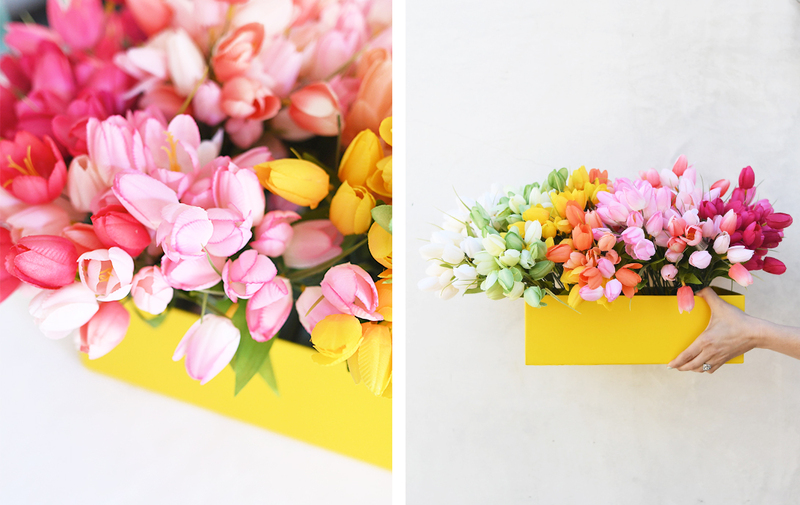 Instead of a “vase”, reach for a shoe box, or a gift box you may have laying around. 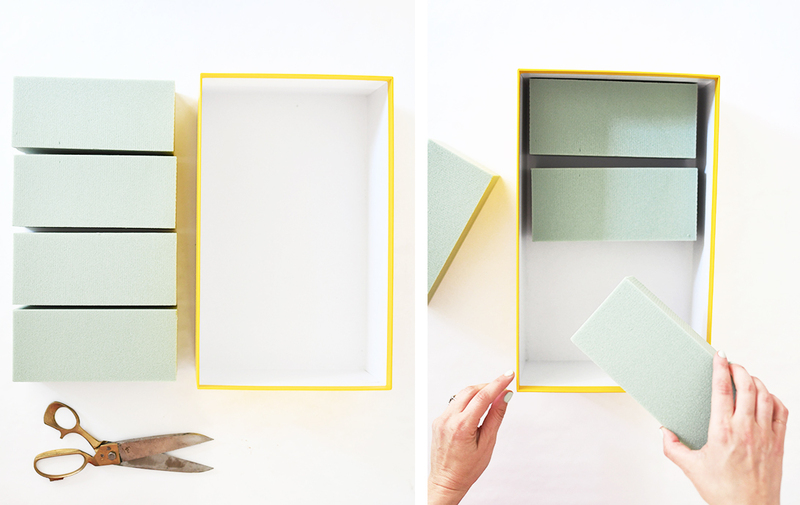 If its not a fun color like this shade of yellow, you can always grab a can of spray paint or even wrapping paper. A shallow basket works too. Insert floral foam on the bottom of your vessel, which will be the anchor for the flower stems. The bricks are great because you can easily cut into the size you need. In order to creative an ombré rainbow hue, start with your darkest hue of pink and insert directly into the foam. Continue to add evenly into the floral foam in rainbow formation. 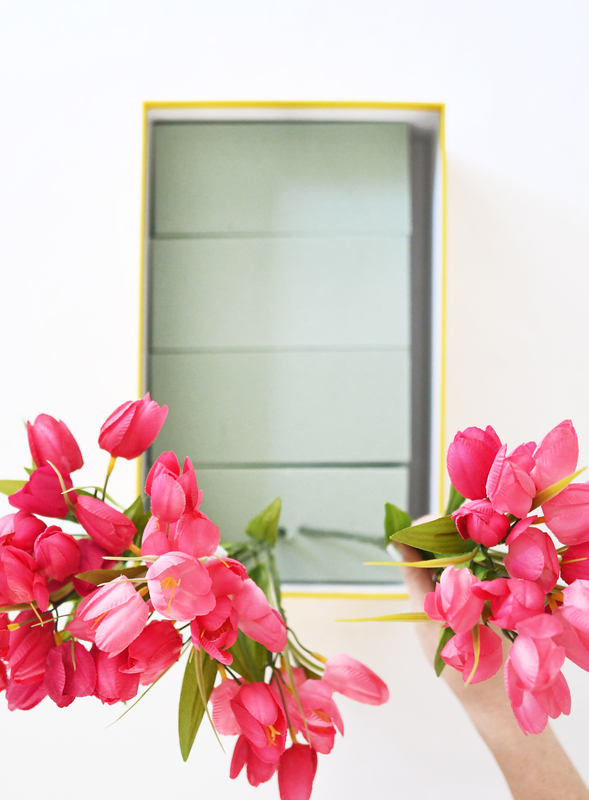 You may have to remove and re-stick the flowers to get the exact full look you are trying to achieve. Don’t be afraid to stick them in different angles so they aren’t all straight up and down, like a real flower arrangement. True story, this took about 5 minutes to create! PS- This also makes a pretty fun gift to bring over to someone’s house this Easter! 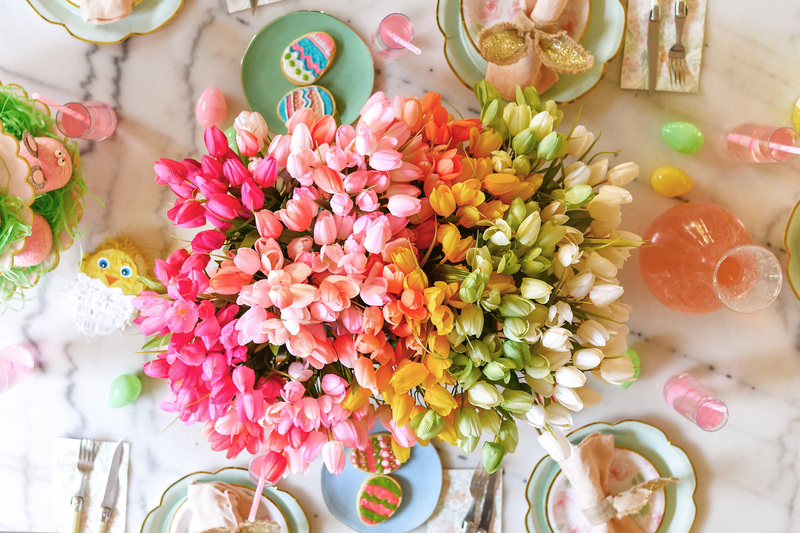 You can never have too much color on a table. PS- We are loving the new line of Martha Stewart Celebrations especially these mint paper plates. Run don’t walk to check out the whole collection HERE , it’s perfect for party season! 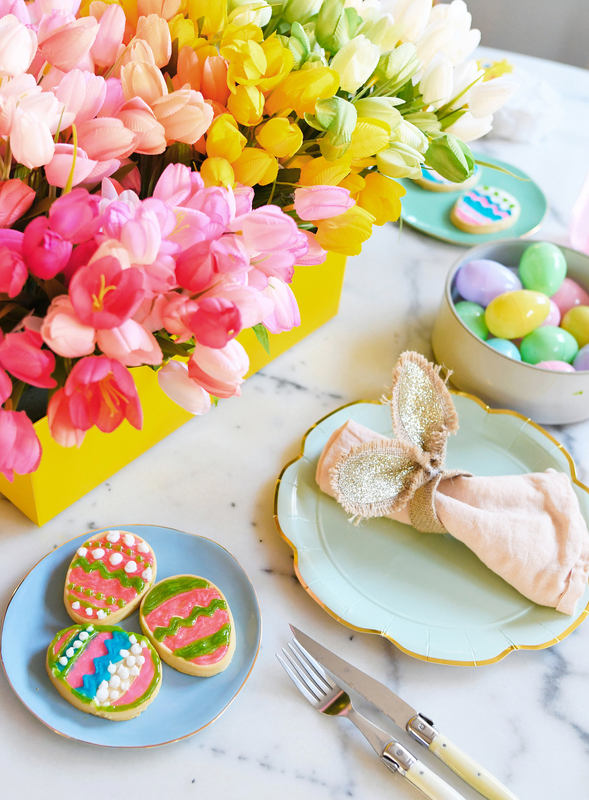 No doubt this will upgrade your Easter table faster than you can say bunny hop! The best part it… you can continue to use throughout the Spring and Summer seasons! Happy Easter! 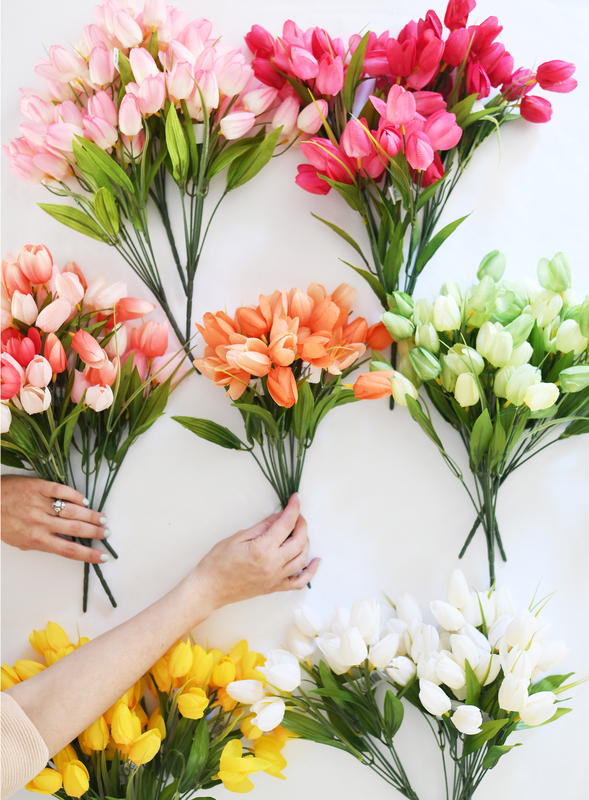 Have fun with creating a rainbow ombré arrangement.